There’s a temptation to skip meals if you’re on a diet and trying to lose weight, hoping that you’ll sail through your day energised, focused and without debilitating hunger pangs niggling in the background and knowing which low calorie snacks to choose can be mesmerising. Hunger is your body’s way of telling you that your blood sugars are low and you need to eat to ensure you can fulfil your energy requirements. It sends these messages with symptoms that are hard to ignore; light headedness, dizziness, fatigue, lethargy and a general feeling of anxiousness. We all know that feeling, often described as “hangry” due to the effects it can have on behaviour. If there’s one thing that is going to sabotage your efforts to lose weight, it’s going to be succumbing to those hunger pangs without thought and planning and reaching for the nearest unhealthy option from the vending machine or the nearest store. 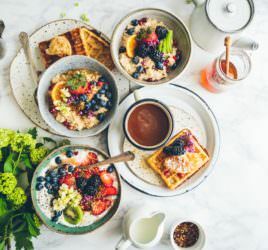 Whilst this will satiate the cravings in the short term, you’ll find yourself feeling hungry again in no time and the cycle can very easily repeat itself throughout the day, notwithstanding the excessive calorie count you’ll end up consuming. Instead, reaching for healthy low calorie snacks will still allow you to achieve your weight loss goals, but will also keep you fuller for longer and most importantly, will provide good nutrients to nourish your body and support your overall health. To keep your appetite in check, planning is key; without the right low calorie snacks to hand, whether that’s in the fridge at home, at your desk at work or in your bag if you’re on the run, you’re more likely to reach for a high calorie unhealthy snack when hunger kicks in. The good news is that choosing great low calorie snacks, that is also nutrient-rich is easier than you think. However, before you reach for anything, the first thing you need to do is drink a large glass of water or a luke warm herbal tea….and wait 10-15mins. Often, thirst is mistaken for hunger and in fact, you are simply dehydrated and thirsty. This simple “rule” will help to establish if this is in fact the case. Unsurprisingly, vegetables top the list of healthy, low calorie foods to satisfy cravings. Vegetables are high in insoluble fibre and the body will need more energy to process these indigestible compounds and you’ll therefore burn more calories simply by eating vegetables. Try a salad of lightly steamed broccoli, asparagus, or cauliflower with a lemon vinaigrette or kale chips, preferably homemade. Cruditées, such as carrots, celery and cucumber sticks with a large tablespoon of homemade hummous or yoghurt/herb dip, for example, is also a good choice. Whilst you are low in blood sugar, it is important to replenish the sugar levels and vegetables, but fruits in particular will provide the sugar boost you are craving. However, fruits also contain high fibre, which will help to release the sugars more slowly, thus avoiding the sugar surges and the inevitable dips that follow. Certain fruits, like pears, bananas and grapes are high in sugar and therefore high in calories. It is important to choose the varieties carefully; apples and citrus fruits will provide a sugar lick whilst still being low in calories. A first class protein and low in calories, eggs are the ideal food to satiate cravings and help you to feel fuller for longer whilst also providing plenty of other essential nutrients. Boiled eggs are an ideal snack to eat “on-the-go” along with some crudité vegetables like peppers, cherry tomatoes or carrot sticks. 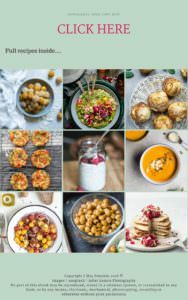 If you have time to prep ahead, consider making some homemade vegetable muffins with eggs, spinach, red peppers and feta cheese for example or try making these flourless Sweet Potato Frittata muffins for a delicious satisfying snack on the go, but take care to avoid making them too large. Eating soup is an ideal way of re-hydrating whilst increasing your nutrient intake. Broth-based or clear consommé soups, particularly if loaded with plenty fibre-rich vegetables will fill you up without consuming too many calories. Homemade is ideal but when choosing shop-bought varieties, be careful to read the ingredients list to ensure low sugar levels, either as added sugar or from too many starchy vegetables which will bump up the calorie count. As a high fibre grain, porridge oats, made with water or semi-skimmed milk are a deliciously satisfying snack. Adding a generous sprinkle of cinnamon will mimic the sweetness of sugar without the calories and research shows may also optimise insulin function and stabilise blood sugar fluctuations. Greek yoghurt, unlike “Greek-Style” yoghurt, has been strained to retain significantly higher protein than regular yoghurt. As such, eating a portion or 2-3 tablespoons will contain good protein and will therefore fill you up without consuming too many calories. Topping the yoghurt with low sugar fruits such as raspberries and strawberries will provide additional fibre and nutrients whilst keeping the calorie count down. Making our own sweet treats allows you to control the ingredients and avoiding too much sugar, which would otherwise load your calorie intake. Shop bought so-called “healthy energy bars” are little more than glorified sweets and should be avoided all together. They tend to be loaded with sugar, in varying and confusing forms and as a result, will be very high in calories. 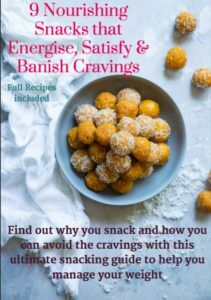 Try these nutrient dense homemade Bliss Balls, and make them into small 25g balls to keep the calorie count a little lower. Packed with oats, nuts, dates, chia seeds and coconut oil, these will not only satiate but will also provide valuable nutrients. Alternatively, these easy gluten-free Banana and Raspberry Oat Muffins are naturally sweetened and perfect to make in advance to grab for the day ahead. Smoothies made with whole fruits and vegetables can be an ideal nutrient rich snack or low calorie meal replacement. Be careful to include a ratio of 3 vegetables to 1 fruit, to avoid too much sugar and use ice or skimmed milk to provide more water and therefore less calories. For example, spinach/kale, apple and cucumber with lime and ginger will provide plenty of fibre with very few calories. 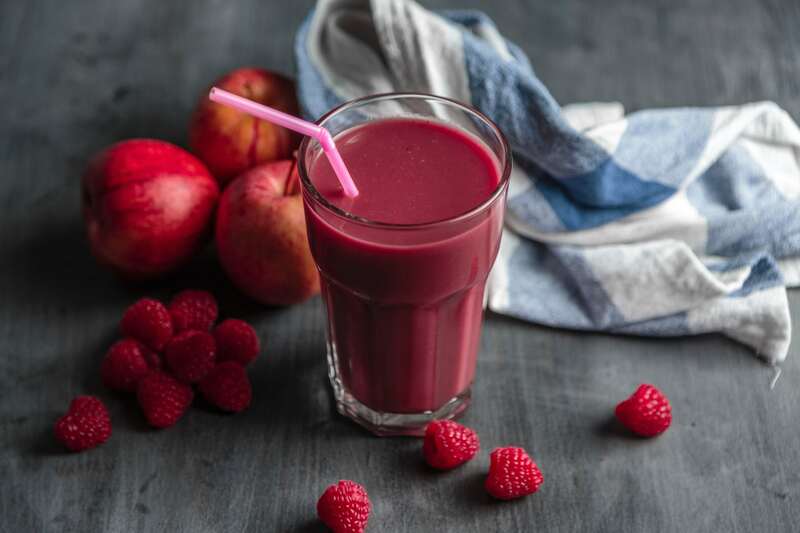 If you’re looking for a longer lasting smoothie, you can include a scoop of protein powder and unsweetened almond milk to your favourite fruit/vegetable combination. Apples skins contain pectin, which naturally slows down digestion and more satiating as a result. Eating a whole apple without peeling also takes longer to eat and therefore allows time for the message to reach the brain to register fullness. Apple slices, thinly spread with a good quality nut butter are also a delicious and simple low calorie snack to put together. Combining the protein and healthy fats from the nut butter with the sweetness and fibre from the apple will provide that sugar boost you’re craving when hungry, but will keep you fuller for longer. Popcorn has risen in popularity recently and with that manufacturers have responded with an array of flavourings and varieties to tempt us into buying them. Often considered “guilt-free”, it is important to be wary of these alternatives that can be loaded with salt, sugar and fat and as a result also loaded with calories. Popcorn in it’s original and basic form is indeed a nutritious snack and as it’s a whole grain food that is high in fibre, kernels which are air-popped and eaten plain without sugar or added butter or oil will take up more space in your stomach, providing satiety, whilst being a low calorie snack. Making popcorn at home without oil or butter is very easy and allows you to control the additives to ensure you’re eating a low calorie version. Try flavouring with a little sea-salt, cinnamon or herbs for a delicious alternative. With shop-bought versions, look for air-popped choices in bags of around 30g, which do not contain butter or sugar. Many varieties unfortunately will be loaded and therefore best avoided. Do you have any other ideas and suggestions? Please do share them in the comments below…..I’m always looking for inspiration!